The city of London is thinking of copying South Dakota’s mandatory sobriety program for offenders involved in alcohol related crimes. If they do, those in the program will have to come to a testing facility twice a day to blow into a breathalyzer and prove their sobriety – or end up in jail. In London, binge drinking and drunken violence is a big problem, in fact, London city has 50% more alcohol related crime than the rest of the country. The scope of the problem had left city officials scratching their heads for a solution, until they heard about a South Dakota abstinence model that they think might just work across the Atlantic. In South Dakota, if you’re convicted of an alcohol related crime, like drunk driving, you may well get enrolled in an enforced sobriety program after or instead of serving a jail sentence. In such a program, you are forced to come in to an alcohol testing facility twice a day, morning and evening, and blow into a breathalyzer to confirm abstinence from alcohol. Anyone who blows a positive reading is sent immediately before a judge and quickly thereafter into a jail cell to serve a short punitive sentence, often a day or a few days behind bars. Officials in South Dakota say that amongst the 16 000 people enrolled in the program they’ve had a better than 99% compliance rate. They’ve also seen a two thirds reduction in DUI arrests and a 14% reduction in their overall prison population. 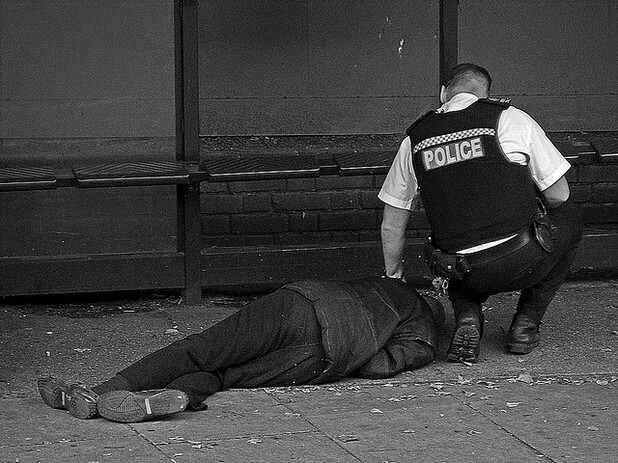 London’s Mayor, Boris Johnson has expressed real interest in the 24/7 sobriety program. Kit Malthouse, London’s Deputy Mayor for policing commented on the idea, saying, alcohol related crime is, “costing us a huge amount of money in terms of police time and NHS time. So we put our thinking caps on and scoured the world for a scheme that might help us." He also said, "This is not about prevention. This is about dealing with people who have already committed a crime and convicted of a crime where alcohol has played a part ... "